Last week I took eight small paintings up to Nyack, New York for Edward Hopper House Art Center's intimate show of my work opening this coming Saturday, March 31 through May 1, 2012. 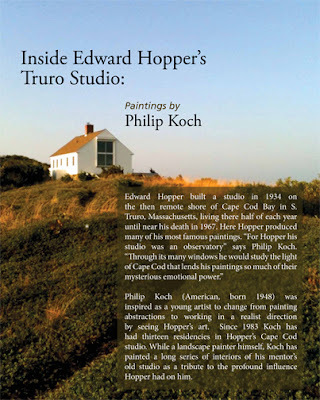 Titled Inside Edward Hopper's Truro Studio: Paintings by Philip Koch, the show features interior views of Hopper's studio on Cape Cod where I've had the honor of having 13 residencies since 1983. These are some of a long series of interiors I've painted while staying there. 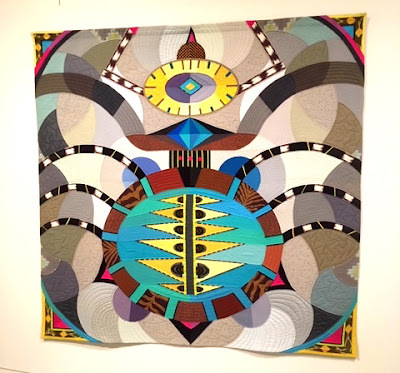 There's a reception from 5-7 p.m. on Saturday. Following at 7 I'm giving a slide talk "Three Things You Didn't Know About Edward Hopper" (suggested donation $5.). There are aspects of Hopper I feel I can shed some light on. 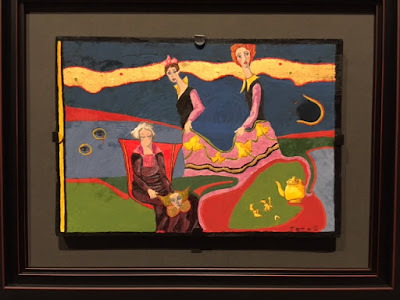 Hope many readers of this blog can come by to the talk and/or the show. Above is the poster my graphic designer daughter Susan made for the show- it's a view of Hopper's Truro studio early in the morning back in Sept. of 2010. 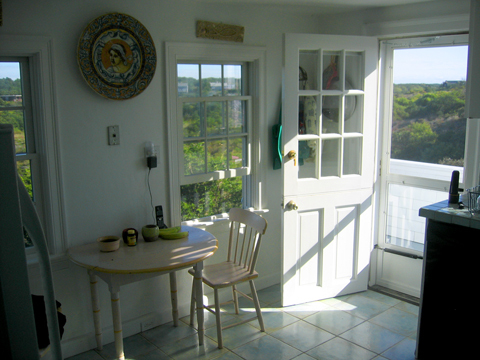 On the far side of the hill is the open expanse of Cape Cod Bay. Below is a pastel I did of Hopper's kitchen table and chairs, along with a bunch of bananas I'd bought at the store earlier in the day. I liked the way the shape of the fruit and bowl curved like the chair backs and the table top. It's a view where most of the shapes are big rectangles, so peppering the composition with some well placed curves gives a little sense of surprise. After all, a drawing with no surprises is a bad drawing. In this pastel one of the things I'm enjoying playing with is the color of the white walls. I've been careful to add both warm cream yellow highlights to the walls and contrast them against light cool off- whites in the lighter shadows. Having a range of temperatures in each level of ones tones (highlights, middle tones, and darkest darks) is almost always a good idea. 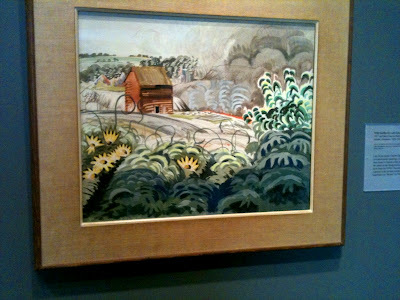 One can see Hopper doing that in all his work. 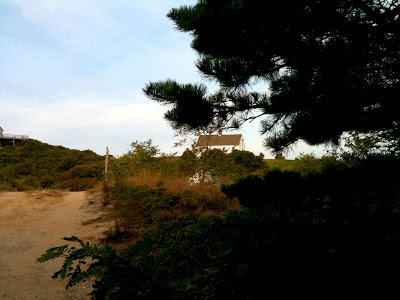 Here's the studio looking from the dirt road that serves as Hopper's driveway. This is looking due west. 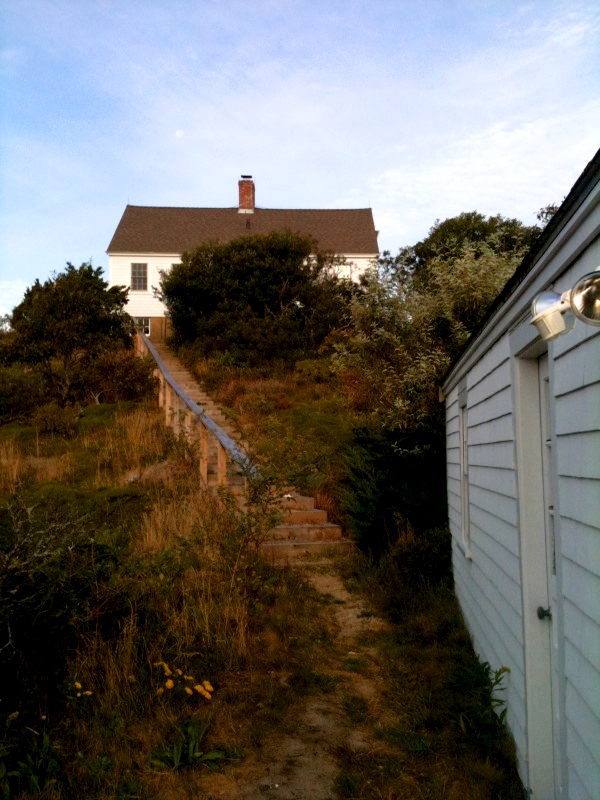 And this is the view from the end of the driveway looking up the steep hillside to the studio sitting atop the sand dune. Hopper designed the entire studio. I think there's a very Hopper-esque feeling to the way the architecture and the rolling hillside interact. 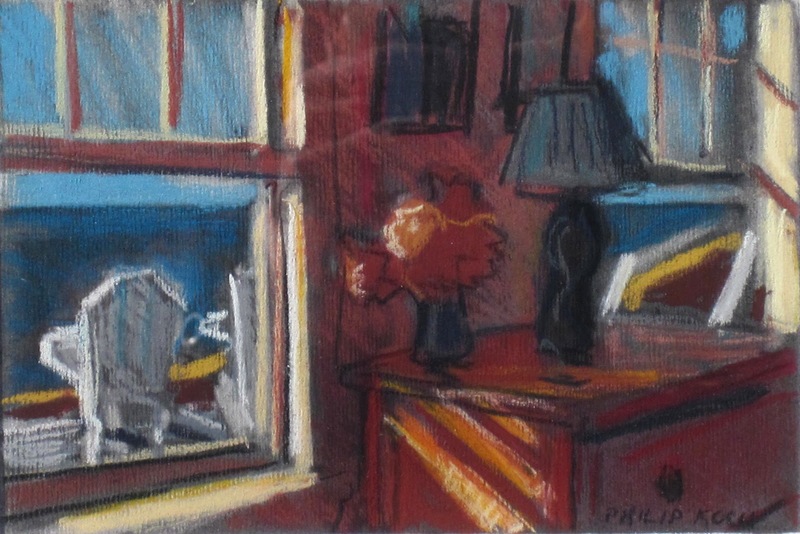 This is a pastel I did sitting on the end of the bed in Hopper's tiny bedroom looking due west out two windows to Cape Cod Bay. 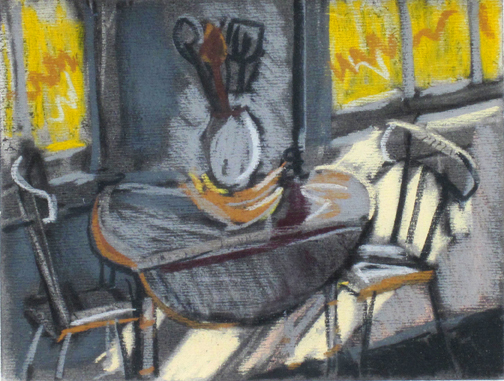 This is late afternoon and the sunlight really blasts into the studio. Very lovely. While I was preparing my slide talk for this Saturday night at Hopper House, I ran across this lovely watercolor, Village at Two Lights from up in Maine. 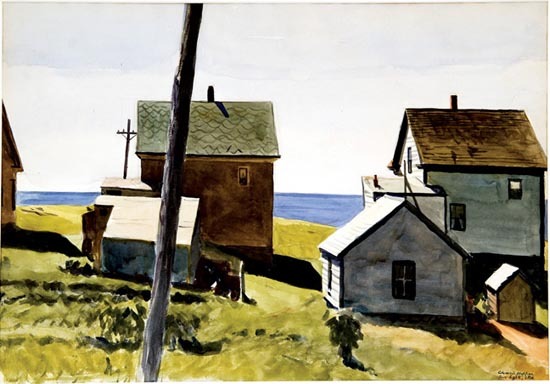 The feeling of it reminds me so much of how Hopper's Truro studio sits on a similar gently rolling hillside and looks out to sea. I was saying before that varying the temperature in the highlights brings an energy into the painting- look at the three lightest roofs in the foreground. So often you see paintings of buildings that look mechanical but not these sheds. That Hopper fellow knew what he was doing. Rockwell Kent, A Master At Teaching How To See. A Mystery About Edward Hopper.